Born with a visual impairment and educated in a blind school, Ian later trained as a teacher but struggled to secure a job in mainstream education. Instead, he worked for a community education project based in Tyneside. 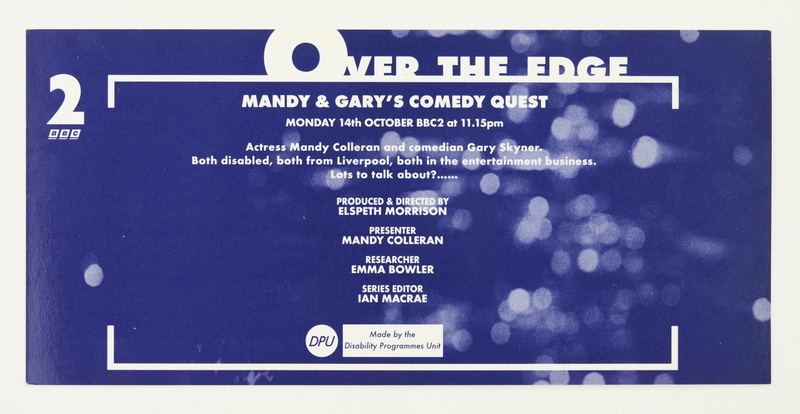 During the 1980s, he established a career as a radio and TV presenter, working on local radio in the North East and presenting In Touch, BBC Radio 4’s programme for visually impaired people. His television presenting included the final two series of Same Difference, Channel 4’s disability strand. Ian moved to London in the 1990s, and was employed by the BBC as a producer in the newly-established Disability Programmes Unit (DPU). During this time, he produced a variety of shows including From the Edge for BBC1 and BBC2. He eventually became the Unit’s Editor and Executive Producer, which made him one of the most senior disabled people in the BBC staff. DPU was part of BBC’s Community Programmes Unit and featured substantial user-generated content which reached large audiences. Despite this, however, DPU closed in 2000, which left a significant gap in the BBC’s coverage of disability. Ian later returned to Radio 4, where he worked as a producer for In Touch as well as continuing his presenting work on television shows like WatchDog. From 2007-2016, he was appointed as the first disabled editor of the magazine Disability Now, where he oversaw the title’s move to online content and podcasting.